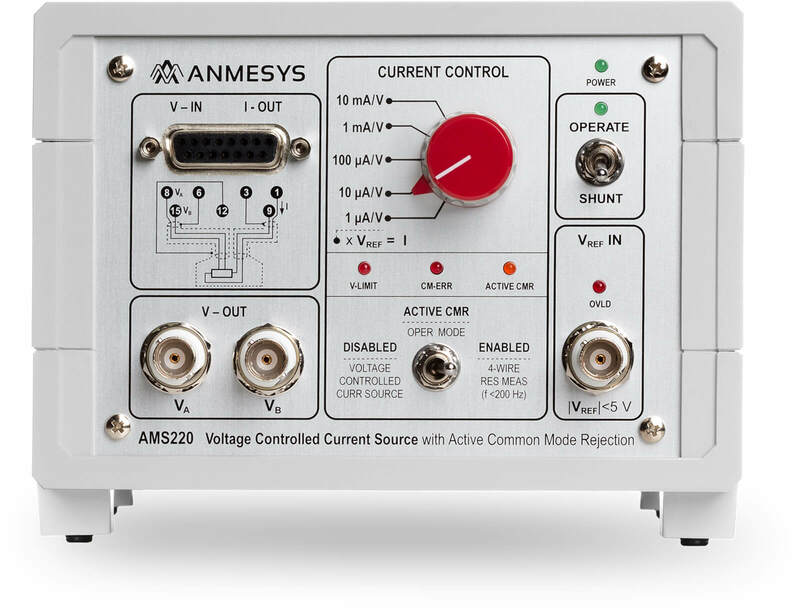 The AMS220 Voltage Controlled Current Source with Active Common Mode Rejection brings a unique possibility for researchers to perform low-level electrical measurements requiring precise current excitation at the negligible level of common mode voltage. 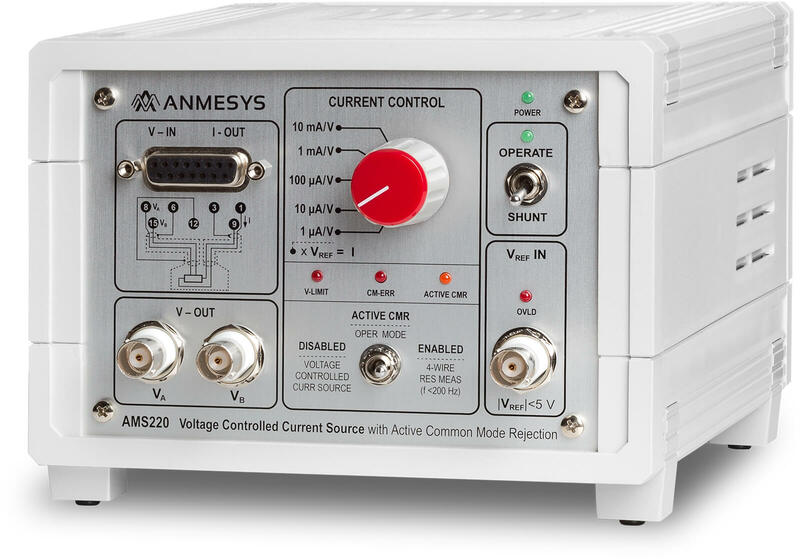 The AMS220 is preferentially designed for low resistance measurements using a lock-in amplifier. 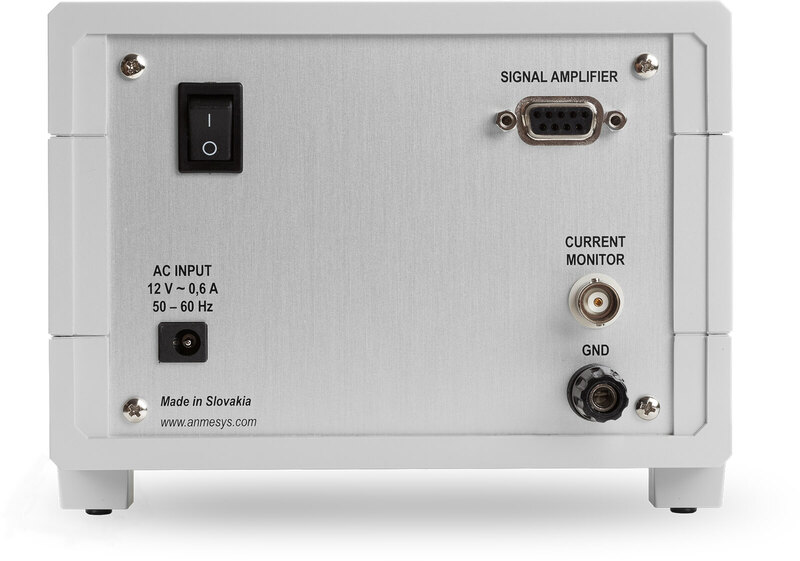 The measurements of very low resistances become a routine when using the AMS220 in combination with a highly sensitive lock-in amplifier, even in the most demanding conditions, e.g measurements of resistances less than 1 mOhm at temperatures below 500mK. The combination of the lock-in technique (which enables to perform very-low voltage measurements also in the background of significant disturbance signals, if common mode signals are sufficiently low) and the unique, patented, architecture of the AMS220 (which ensures active rejection of common mode signals that arise at current excitation of the load) opens new experimental possibilities especially for researchers working in the field of superconductivity and electrical transport phenomena. 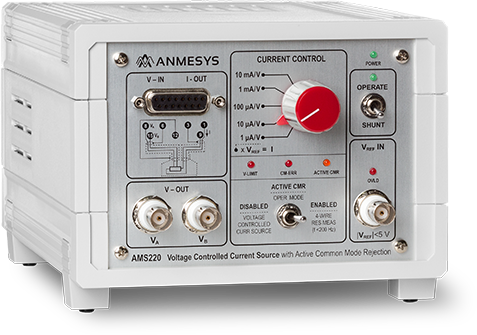 Alternatively, the AMS220 can be also used in combination with DAQ devices in many types of DC or AC electrical measurements, where well defined current excitation of D.U.T. is required. Applications include e.g., resistance measurements, thermometry, or I-V curves measurements. Feel free to contact us either for a quote, support or any other queries! *I agree to my personal data being stored.